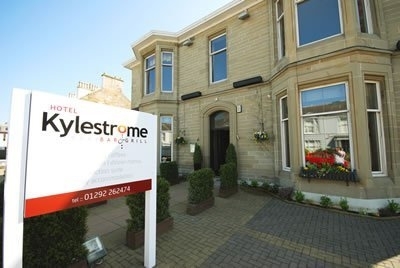 The Kylestrome is a bright and contemporary hotel located in the heart of Ayr on Scotland's West coast. 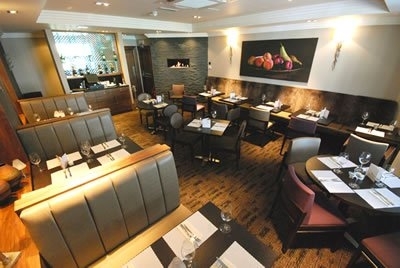 Conveniently located for Ayr Town Centre, Ayr Racecourse, Prestwick Airport and local golf courses. The recently renovated interior offers guests a bright and airy feel with high Victorian ceilings and very comfortable surroundings. 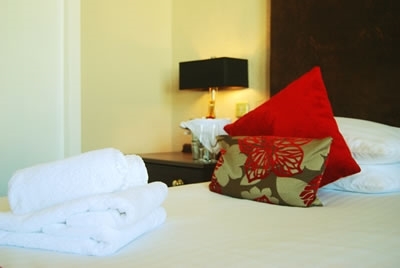 Our 13 well appointed rooms have been recently refurbished. All with en-suite power showers the 11 doubles and 2 singles are bright, airy and pleasant making them an ideal place to take it easy in between the many local activities on offer. All rooms are equipped with tea and coffee making facilities and our friendly staff offer room service 24/7.